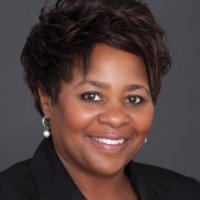 Leader, visionary, result-oriented, Donele Wilkins has demonstrated servant leadership in her hometown Detroit for nearly 20 years. First by leading the local movement for environmental justice on the front-lines, and secondarily expanding to achieving true sustainability for all. Her leadership style has motivated many to take their place in a truly transforming movement. Her achievements include: participating in the development and adoption of an Environmental Justice Policy in the state of Michigan, and conceiving and launching the first Green Jobs Training Program in the city! She’s been an advocate for citizen involvement in Brownfield Redevelopment as well as other environmental policies, placing environmental stewardship on the agenda of many community leaders and decision makers. Ms. Wilkins is noted for inspiring young people to take a lead in their communities. As the founder of The Green Door Initiative, Donele plans to take not only the city of Detroit to the next level of environmental stewardship but the nation. GDI stands out as a national model for sustainable living through civic engagement for everyone! Utilizing innovative and integrated methods of science, Kenneth has become an effective practitioner of environmental protection for both his regional and global communities. Presently, performing duties as a project manager, and senior scientist for the environmental firm ECI Environmental Consultants & Engineers, Kenneth is often engaged in publishing scientific papers and articles for presentation. Kenneth also serves as principal and senior scientist for CityGreen Environmental LLC, where he is often called upon as a professional instructor/facilitator of technical programs to enhance community awareness. Kenneth Green’s 25 year background in environmental science is diverse and consistent, beginning with regulatory work in the State of Michigan’s Natural Resources and Environmental Quality Departments. Managing controversial and politically sensitive environmental projects he has garnered extensive knowledge in air physics, air pollution control, and soil and groundwater remediation technologies and procedures. Dr. Stokes is responsible for all aspects of ECI Environmental Consultants & Engineers, LLC. Lance is a flexible, and enthusiastic leader and team player. He demonstrates creative adaptability to changing markets by implementing unique approaches to opportunities. Over a twenty-three year period, Dr. Stokes has successfully managed, motivated and directed staffs of up to 200 people and managed significantly large budgets. His proven track record of entrepreneurial success includes an existing and successful twelve year old Michigan based corporation. Dr. Stokes formerly owned and operated a medical waste disposal company, a computer and data communications company, a plastic injection molding manufacturing plant, a finance and acquisition company, and an alcohol fuels plant. Dr. Stokes is the hands-on driving force of ECI. He is active in the field as well as in corporate decision making, customer service, and financial growth of the Company. He has worked throughout the United States, and in countries in Europe, Central Asia, the Pacific Rim, and the former Soviet Union. His experiences are reflective of the diverse nature of his interests. Jacqueline Young is an Economic Development Manager at DTE Energy. Her assigned areas include the City of Detroit and Wayne County, Michigan along with the auto, battery, and entertainment industries. The goals of DTE Energy's Economic Development group is to be a force for economic growth in the State of Michigan. Jacqueline's background also includes global sales team leadership, account management, strategic planning and process development. Jacqueline is a persuasive communicator, with demonstrated ability to bridge gaps between groups. She believes in win-win solutions and that the best answer often lies in the middle. Jacqueline has an MS in Electrical Engineering from The University of Maryland at College Park and an MBA from the Kellogg School at Northwestern University. She serves on the boards of the Jefferson East Business Association and The Green Door Initiative.